It's all yours at our local, Spa & Nails salon.We offers a full range of services, always on your schedule - no appointment needed. Affordable luxury ... that's what the Spa & Nails experience is all about.So come indulge yourself. You deserve it. 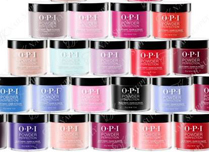 If you're looking to enhance your nails, try our sculputred, acrylic, gel nails or dipping powder. Our technicians will provide you with a professional or fun look depending on your occassion. *please enter your name. *This is not a valid email address.